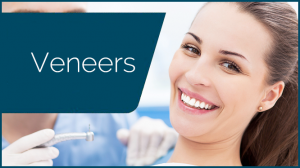 Porcelain veneers are thin layers or covers that are used in cosmetic dentistry. Their function is to protect and improve the appearance of teeth that are not aesthetically appealing but that are healthy enough to be saved. Most typically they are used on teeth in the front of the mouth, which are more fragile than the teeth at the back of the mouth. Porcelain veneers are easily replaceable, in case they are damaged.